Bonita Roxie Aleja Sizemore was born in Cleveland, Ohio on February 16, 1941 and peacefully transitioned on Sunday, February 19, 2017 while hospitalized in Renton, Washington. Devoted mother to Rainelle (Wayne), Sabra and Raven; loving grandmother to Kwame, Jeremy, Ryan, Amelika, Kenese, Talalima, Genessa, Cawano and Sydney; caring sister of Karen, Mark and Bruce; “adopted” mother to a host of her children’s friends, and champion of all in her family - whether related by blood or through relationships. 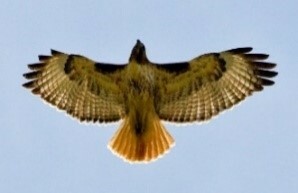 Preceded in death by her mother, Birdie and her sister, Ellen. Bonita was raised in Cleveland, Ohio by her grandparents, Lorenzo and Roxie Sizemore, who made a tremendous impact on her life. A strong and independent woman, she wore many hats - working mother, student (Case Western Reserve, UC Santa Cruz, UC Berkeley, Pacific School of Religion), teacher, artist and activist. After being accepted at UC Santa Cruz in 1973, Bonita relocated with her children where UCSC counselor, Josie King was vital to the family’s successful transition to campus life. Even when the family moved to Berkeley following Bonita’s acceptance at UC Berkeley in 1977, Josie continued to be an important person in Bonita’s life. While living in Berkeley and the surrounding area, Bonita thrived - she immensely enjoyed being a part of the community! In 2004, Bonita moved to Henderson Nevada where she worked on behalf of non-profit organizations for approximately ten years. During this time, Bonita made several close and supportive friends and enjoyed sunny and hot weather. Due to failing health, Bonita relocated to Seattle in June 2015 to live with her daughter and son-in-law. While health issues prevented an independent lifestyle, Bonita stayed engaged with current events. 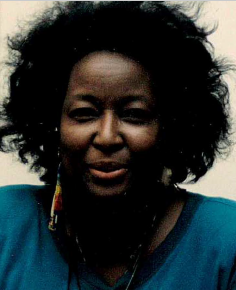 Over the years, Bonita was active in Karamu House in Cleveland (the oldest Black Theatre Company in the United States); was instrumental in creating Chimojalmako - a publication showcasing the work of UCSC’s students of color; sang as a member of the New Generation Singers in Oakland; was an enthusiastic supporter of Indigenous Peoples Day in Berkeley, the Black Filmmakers Hall of Fame, the American Indian Film Festival as well as activities at the Intertribal Friendships House in Oakland. Bonita was a life-long learner, a teacher, a multi-talented person who enjoyed a wide variety of interests and hobbies including cooking, poetry, singing, sewing, genealogy, pow-wow dancing and beadwork. She valued diversity (long before it became a corporate value), appreciated the arts, loved music, liked to “talk politics”, read good books, and enjoy good food! Bonita will be remembered as a person who welcomed all, took the time to serve as a mentor/surrogate mother to some and was a friend to many. A Celebration of Life will be held on Saturday, April 1st at 2:00pm at Studio One Artist Center – 365 45th Street, Oakland, California 94609. In lieu of flowers, the family asks that you consider a donation to your local community center in Bonita's memory. We have been blessed to know Bonita for eight years. She was a true original. She was bright, educated, knowledgeable, determined, generous and fun. She had a great sense of humor and loved deep discussions. She knew something about every subject we discussed with her. She was a collector and had many interests. She had a great love for Native Americans and their culture. We learned many things from her about our Native American brothers and sisters. At times when she was very busy, she would ask what she could do to help us. That always touched our hearts. She was in our home for many Thanksgiving dinners, Christmas Eve Dinners and Christmas morning breakfasts. She was always willing to help. One year she bought some particular flour to make the gravy for Thanksgiving dinner. It was her tradition to use this particular flour and wanted to share. We will miss Bonita every day. She blessed many lives, including ours. God Bless you Bonita on your new Eternal Journey. My friend Bonita was a true light in my life. I will miss you. What a beautiful remembrance. Rest in love, Bonita! You will be missed! It was a great privilege to know Bonita Sizemore. She understood and articulated well many manifestations of racism. She was sensitive to the subtle and not so subtle ways it operated and impacted her life in particular and other lives in general. She was an astute observer of the culture. Bonita was proud of her African American and Native American heritage, celebrating both with pride and uniqueness. Bonita would drop by the Center for Urban-Black Studies at the Graduate Theological Union frequently when she was a student at Pacific School of Religion. We were staff there and that is the primary context in which we knew her. Always supportive of our work, Bonita exuded a sense of joy and aliveness even when facing personal difficulties. She trusted life to unfold what she needed for her journey and walked in faith. We were blessed by her presence in our lives and extend our deepest sympathy to her family. Bonita was definitely one of a kind who enriched the lives of those she touched. She will be greatly missed but not forgotten. She was truly a "February Rainbow". What a wonderful and unique woman. May she rest in peace.